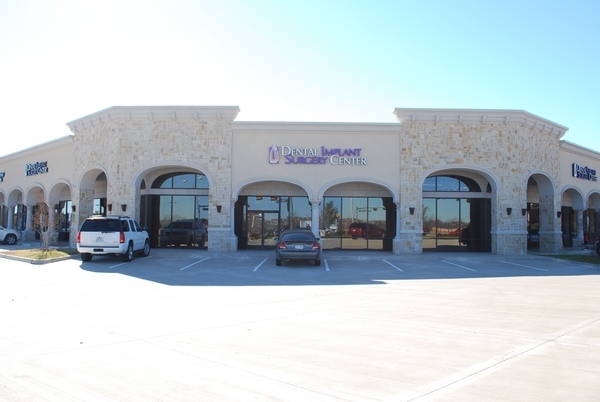 We are conveniently located at the SW corner of Hedgcoxe and Custer Rd, neighboring Allen, McKinney, Frisco, Carrolton, Wylie, and Murphy areas. The office was developed in September of 2008, and built to offer a welcoming and comfortable environment for all who enter our doors. We are Green Health Care certified, constructed with seventy percent or more recycled materials. The Dental Implant Surgery Center is an all in one solution for your periodontal and surgical needs! We have highly skilled and trained Team members, each ready to assist you in appointment scheduling, financial and insurance concerns as well as all the clinical aspects of Periodontal and Implant treatment. Dr. Ezzo's commitment to patient care is shared by the entire Team! Our Dental Hygienist and Assistants have special training for the needs of our valued Periodontal and Implant patients. Also, our administrative Team members will make sure you are fully informed of what to expect each visit. Our entire Team is focused on making your visit as comfortable as possible!